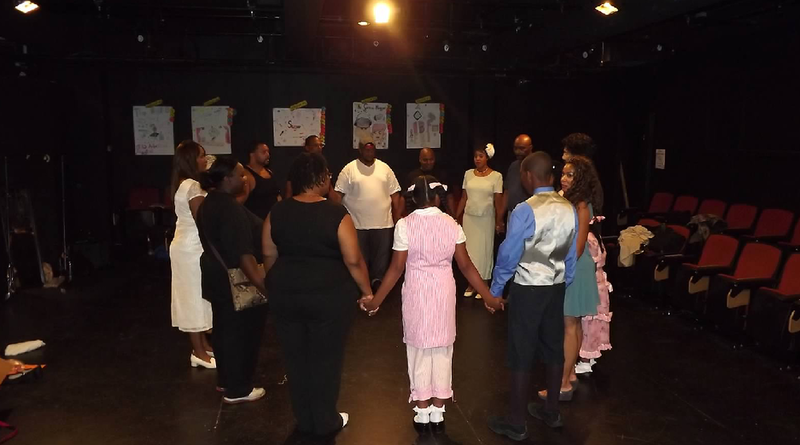 Act Two of Mamas' Drama will be performed as part of the Columbus, Ohio Black Theatre Festival on July 13, 2013. Come out and support us as we compete in the One Act Competition. 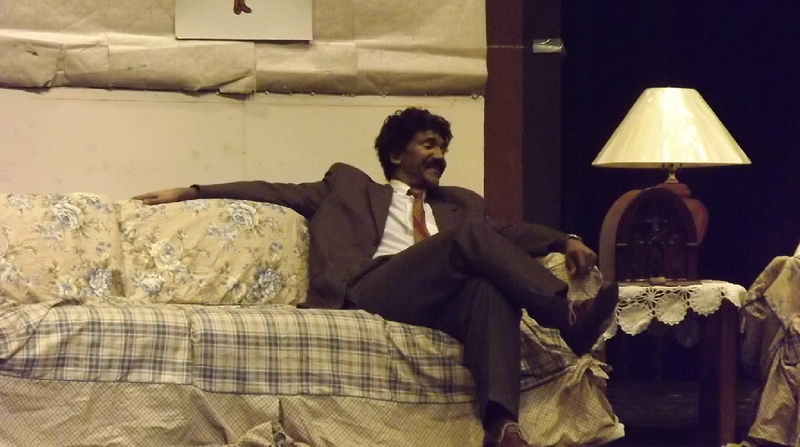 Act Two is when George, his brother and Raymond are out on the town womanizing. Later Josephine gets into life-changing dilemmas as she seeks affection. Visit www.mine4godproductions.com for more information. Mamas’ Drama cries out the stories most people only whisper! Four generations face secrets and lies which create the “mama’s baby, daddy’s maybe” dilemma (when the father’s identity is uncertain). Journey through time (1929-2004) as main character Josephine transitions from an innocent girl to a silver fox. Emotions let loose as the females’ indiscretions are focused upon. 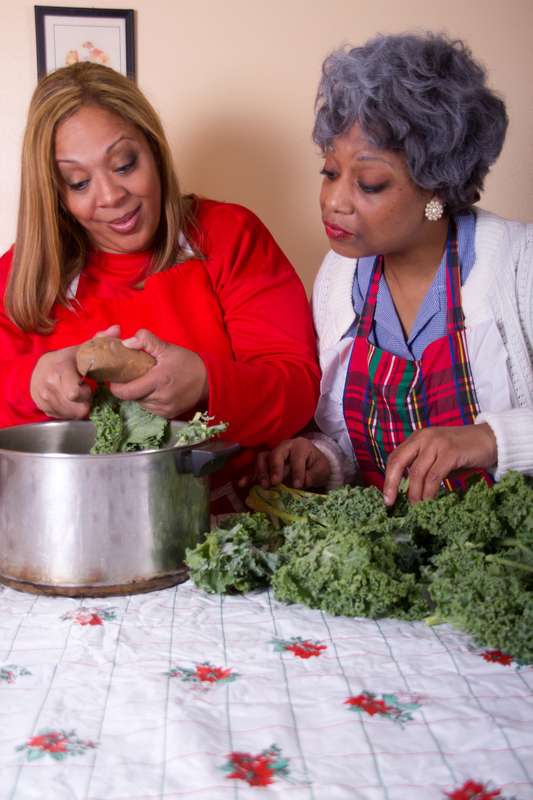 This healing play spotlights mother-daughter relationships as it embodies guilt, shame, love and redemption. Josephine is a teenager when she meets the man of her dreams. They marry, but he continues his womanizing ways. She seeks affection outside of their marriage. “Life is just what you make it!” she professes. Josephine’s daughter Suzette questions her identity and feels she is a result of her mother’s indiscretions. Suzette is determined to avoid the “mama’s baby, daddy’s maybe” dilemma and pushes son Devon to make the right choices. Do they break the cycle or deceive the generations that follow? 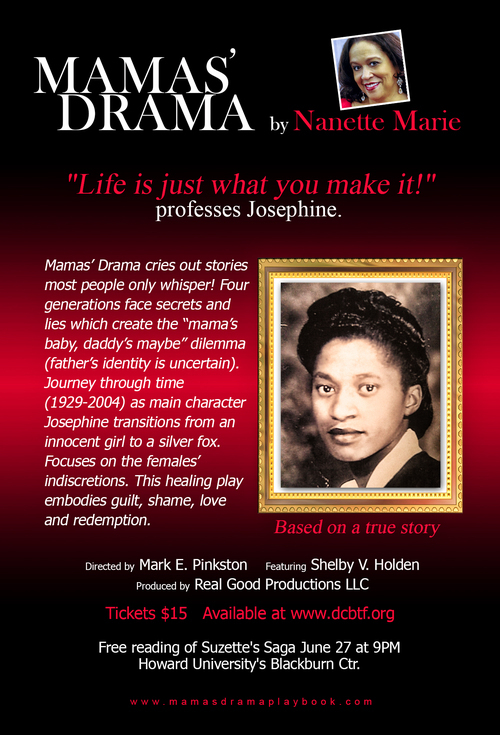 Based on a true story, Mamas’ Drama explores the impact hidden truths have on those directly and indirectly affected. It puts the discussion on the table as to how untruths affect the family dynamic. This provocative drama helps you realize you are not alone. Are you ready for your healing? Nanette Marie's newest play, Suzette's Saga will be read as part of the DCBTF's New Works Readers Series on Thursday, June 27 at 9pm. Howard University's Fine Arts Building will be the location for the first public reading of Suzette's Saga. Admission is free. Suzette’s Saga explores the impact secrets and lies impose on those who are uncertain about the identity of their biological fathers. Suzette has reason to believe she is the product of an extramarital affair between her mother and an Italian businessman. The story begins in 1965 when she is a 15 year old teenager and ends in 2001 when she becomes a grandmother. Suzette’s siblings taunt her about having a different father and she seeks the truth from her mother who adamantly denies the indiscretion. Suzette questions her identity, which negatively impacts her self-worth. She endures a great deal of emotional pain and yearns for acceptance and peace—within herself and from others. 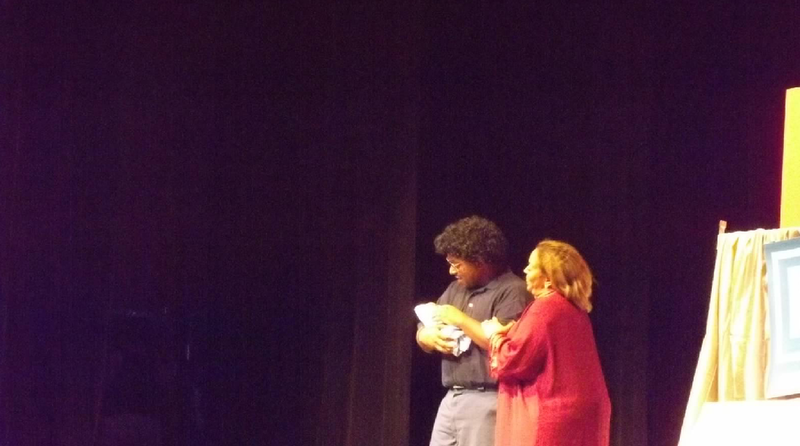 Suzette has a son, and later becomes a grandmother. 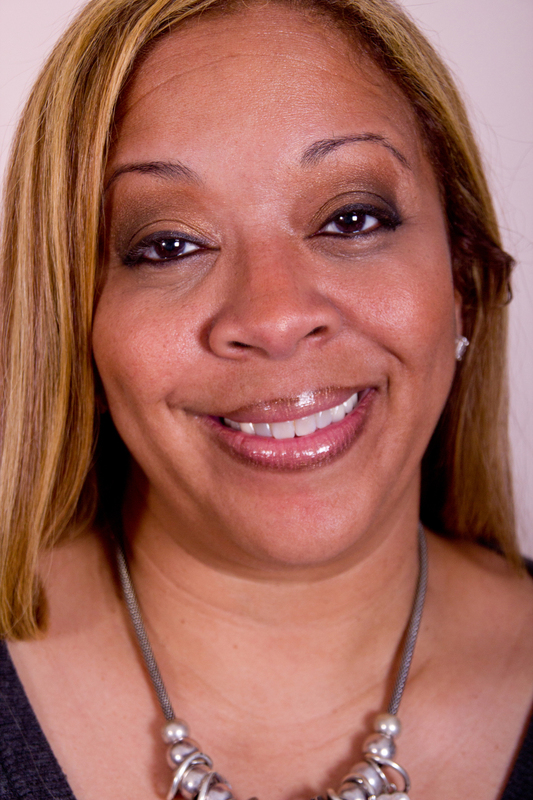 The birth of this new generation inspires Suzette to resolve to embrace her identity. This poignant, healing play delves into the life-altering effects hidden truths have--both on those who question their identities as well as those who keep the secrets.